The evenings are drawing out, the temperature is on the rise and there's a long weekend on the way! May Bank Holiday weekend is just a few sleeps away and whether you're planning some lazy days or hours of activities and adventures there's no better place to do it than Suffolk! 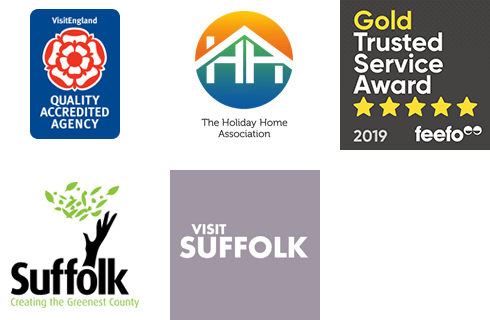 Suffolk Secrets has a fabulous selection of holiday cottages perfect for a long weekend break. Perhaps you're looking for a stylish seafront apartment for a romantic escape, or maybe you'd prefer a big, holiday home for you and all your friends. Whatever your preference, we've got something to suit! The holiday cottages listed below are all available for a 3-night stay arriving on Friday 3rd May 2019. A fantastic, well thought out barn conversion situated in the Suffolk countryside close to the coastline at Southwold. Twosome is a sophisticated barn conversion in the village of Chediston therefore within easy reach of the Suffolk Coast. The Byre is a brand new barn conversion perfect for two guests looking to explore Suffolk with the seaside town of Southwold just a few miles away. Beautifully renovated Grade II listed cottage in the village of Henstead, just seven miles from the seaside town of Southwold. 1 Barracks Cottages is in a tranquil setting, perfect for a quiet retreat. Elmers Barn is a recently renovated and refurbished barn, in peaceful surroundings. This cosy, rural retreat sits on the edge of Tunstall Forest, making it ideally suited to those who love walking and bird watching. Scapa Lodge is perfect for a couple looking to escape the hustle and bustle. On the edge of the Yoxford High Street, Sunnyside is a cosy apartment so perfect for two looking for a base to explore the county of Suffolk.